According to the 2016 Brandon Hall Group HCM Outlook survey, mobile learning is one of the top three learning priorities for companies in the coming year, ranking only behind the need for business alignment and stronger analytics. Brandon Hall Group’s 2015 Mobile Learning Pulse Survey examined the level of experience companies have with regard to mobile learning. The responses range from inexperienced novice to adept mastery of the medium. What surprises me most is that there is still a sizable portion (24%) of the business world that hasn’t yet delved into mobile learning, and that hasn’t changed much since 2013, when it was 27%. All this to say, other than the last item in the list where a dedicated app is present, the learning community is being served a highly responsive interface that should interact with their mobile device naturally. Because of that, some companies wouldn’t even think about calling that mobile learning, even if their employees are visiting training, using resources, and exploring job-related content via their mobile device. Because it works without fanfare, it isn’t noticeable. We’ve discussed this here before, but your learners want a seamless experience, whether they are on mobile, tablet, or desktop. It should just work. That’s the genius behind responsive design. Beyond that, there isn’t much more that your learning audience can ask for. On the company’s side of the equation, there is a range of approaches you can take to mobile, from complete customization of all content to choosing and relying on a provider to handle the technical bits. For instance, in one recent conversation with Adobe regarding their Captivate authoring product, their team told us that the application has the ability to display content based on custom screen sizes. While the general layout works for mobile, if you provide employees with standard devices then you have the ability to tailor the mobile content layout specifically to that screen size. 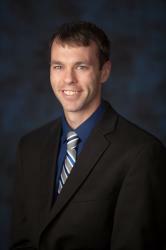 While it may seem like a small matter, that allows for complete customization of the experience. On the other hand, many learning teams simply don’t have the time to tailor every little detail. They can’t make use of every bell and whistle that comes with their technology. And that is okay. As mentioned above, the bulk of learning technology providers are either moving toward a responsive approach or they already occupy that space. It’s nice to know that you can start simply and advance as the need arises, and the technology can handle the heavy lifting on the back end. 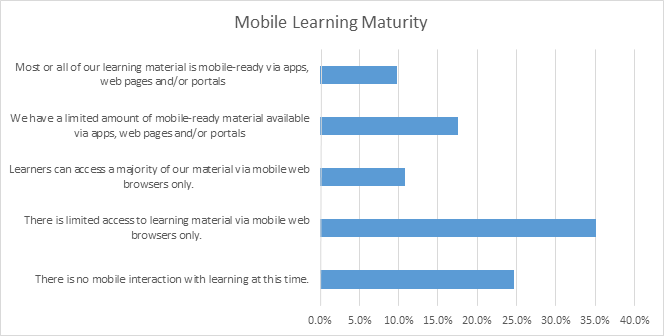 Where does your organization fall in this range of mobile learning maturity? What is your approach to mobile delivery? Previous:HCMx Radio: Have You Gone Social With Your Learning?